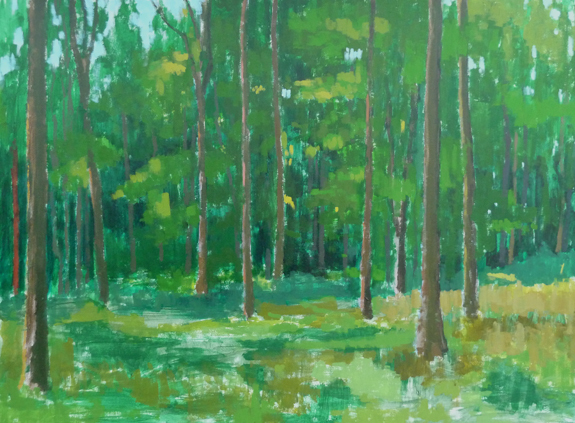 Painted at Wytham Woods near Oxford. 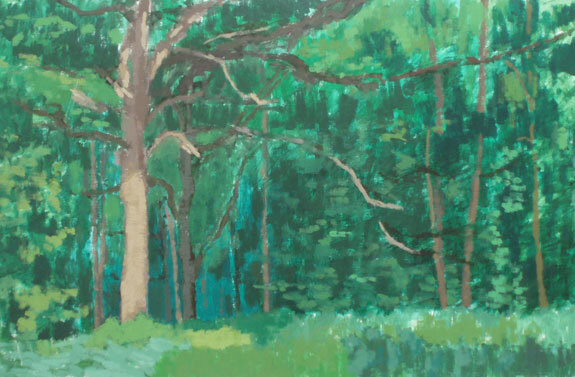 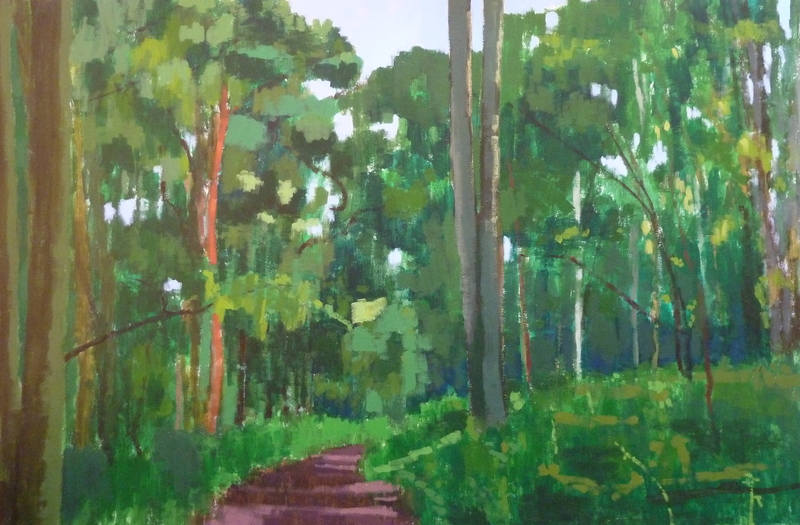 Painting of trees at Wytham Woods near Oxford. 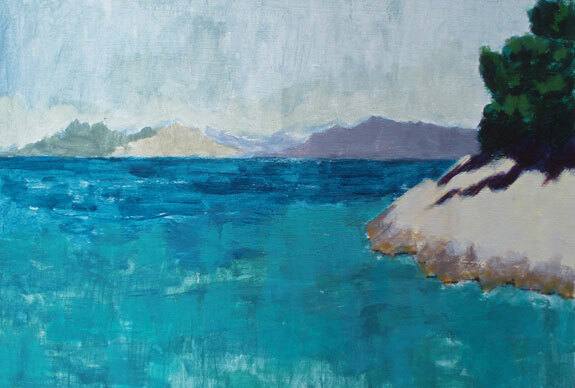 A sketch of the sea near Vela Luka, Croatia. 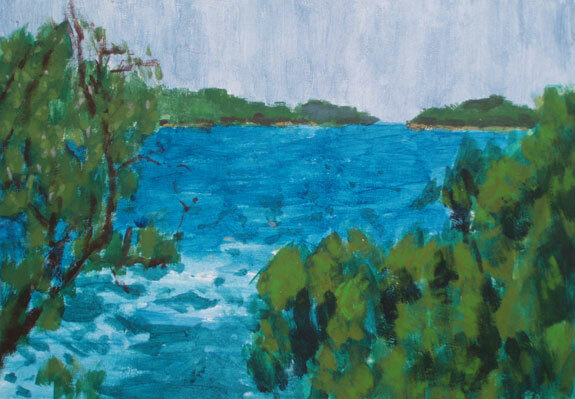 A sketch of trees and the sea near Vela Luka, Croatia. 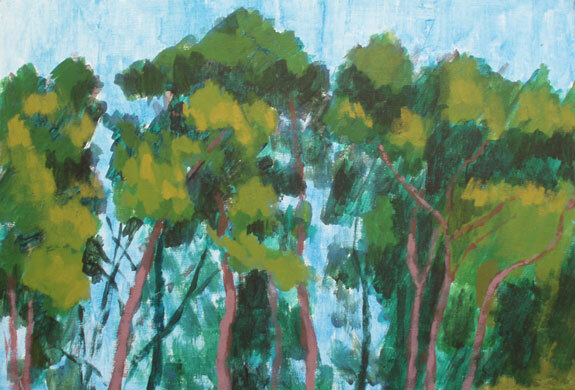 A sketch of pines near Vela Luka, Croatia. 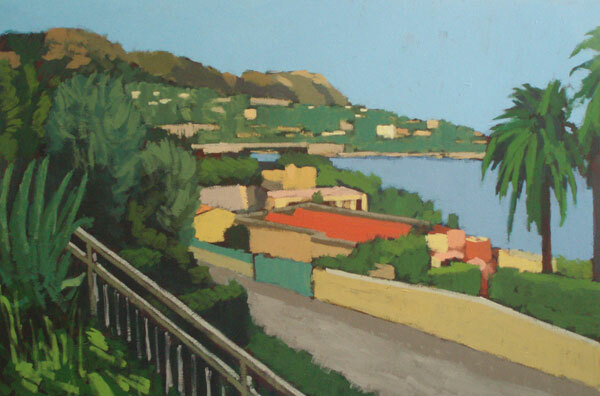 Houses on cliffs by the sea at Villefranche sur Mer. 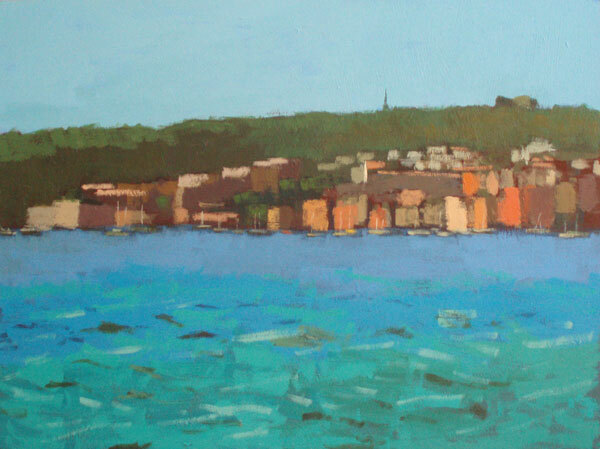 View of the harbour at Villefranche sur Mer. 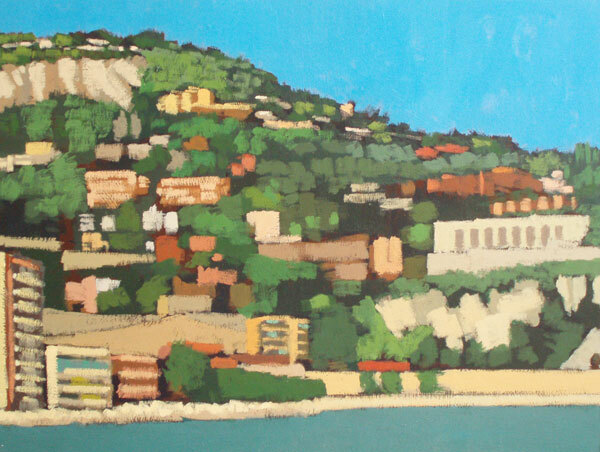 View of Villefranche sur Mer from the beach. 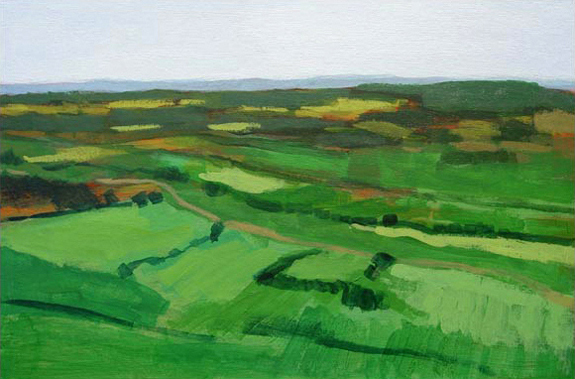 A view of Oxford from Hinksey Hill, after JMW Turner. 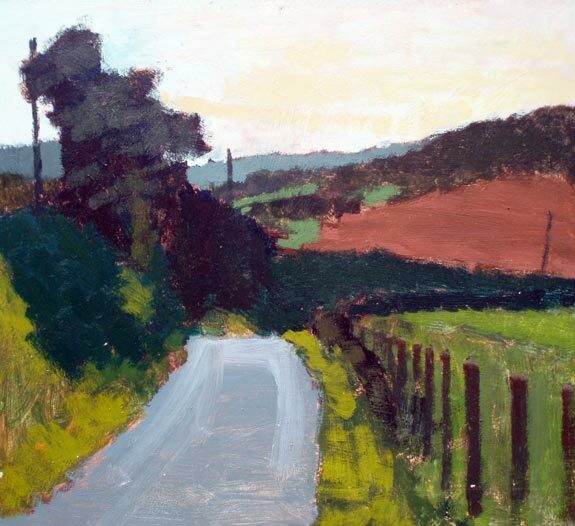 A painting made on an Autumn evening facing towards the setting sun. 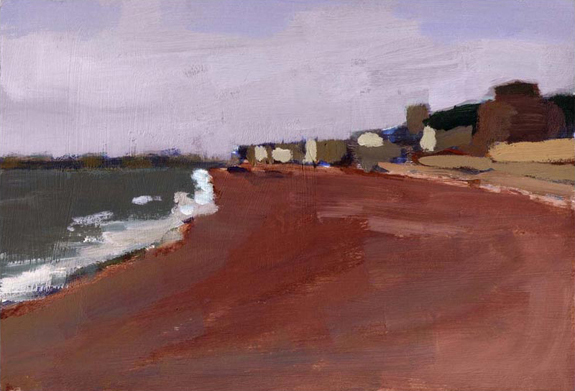 This was painted over two windy mornings at Dungeness. 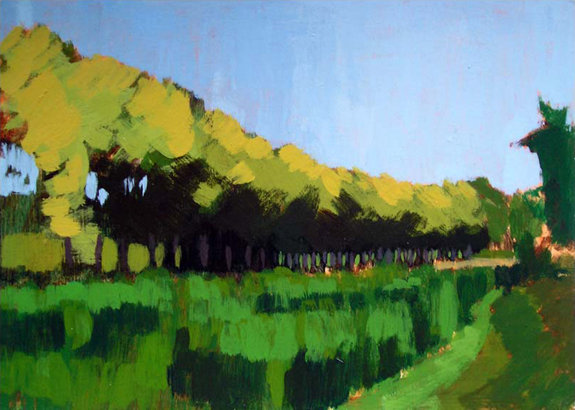 Plane trees and vines in France. 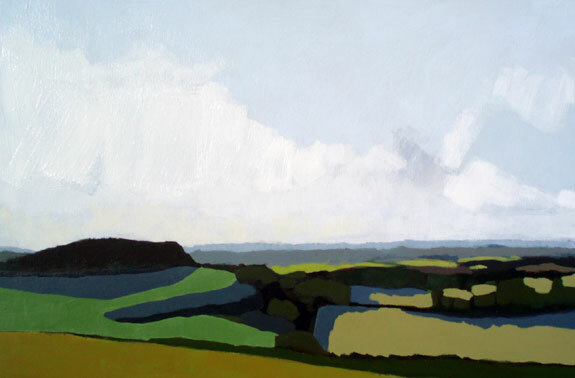 I painted this on Glastonbury Tor during the July '06 heatwave. 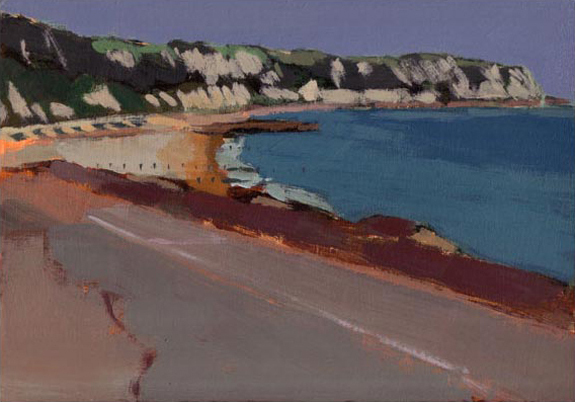 Painted at low tide on the beach at the Warren, Folkestone, on a bright day. 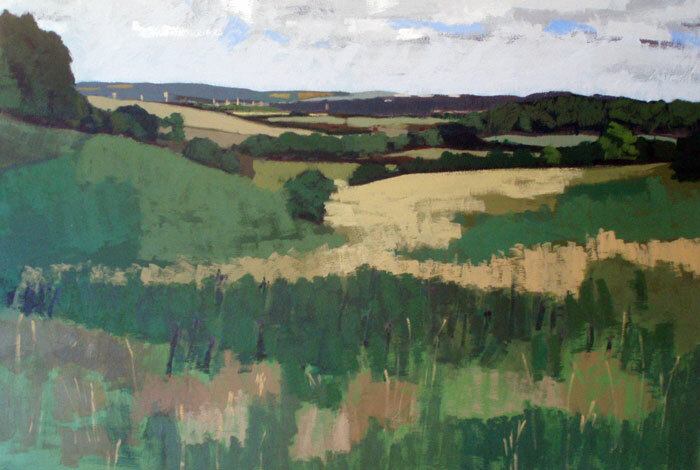 Painted over three days on the road to Canterbury looking west. 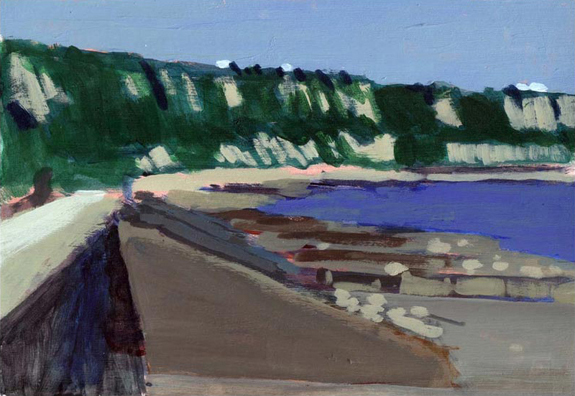 Looking west along the coast at Sandgate. 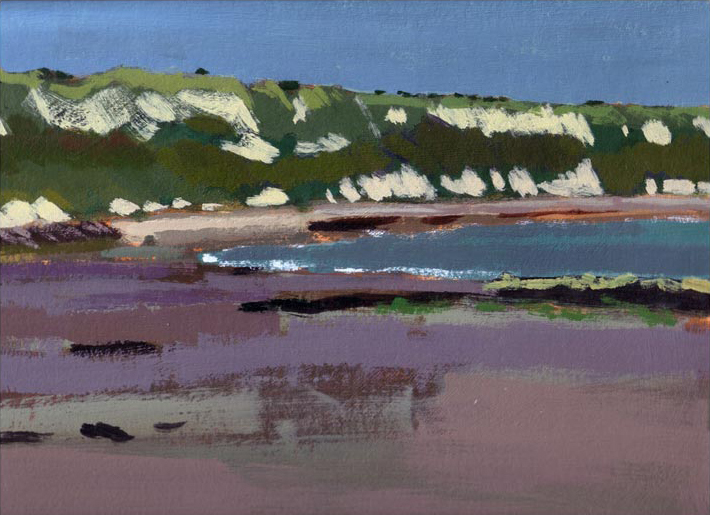 Painted at the Warren near Folkestone. 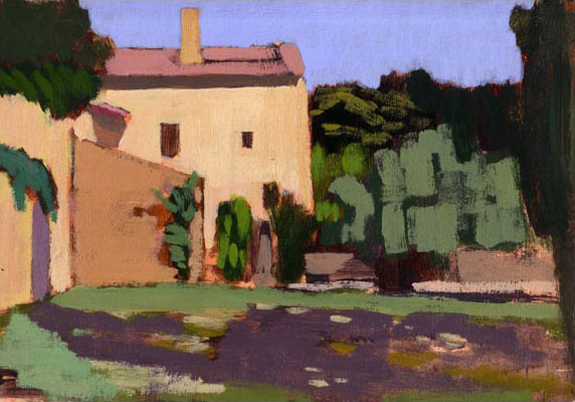 A scene in southern France. 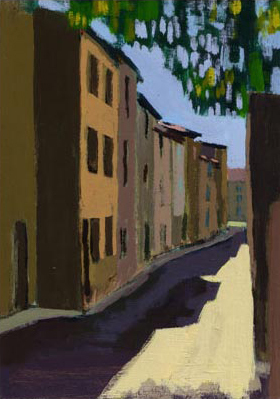 A street in southern France. 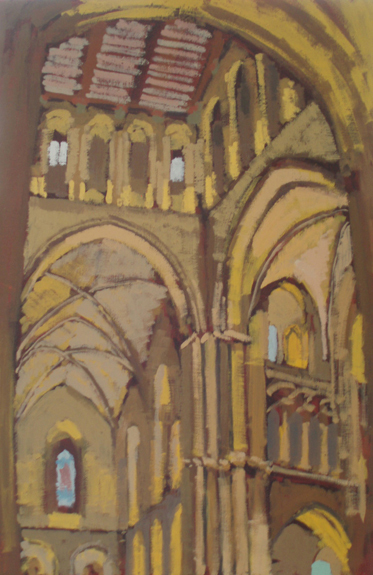 Interior of the Church of St Cross, Winchester. 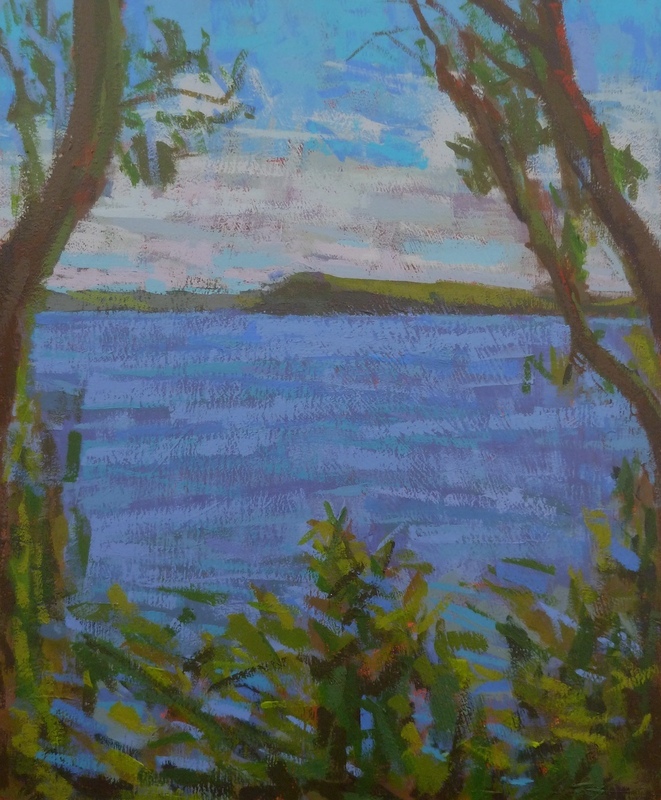 Evening at Falmouth Bay, looking towards Gyllyngvase. 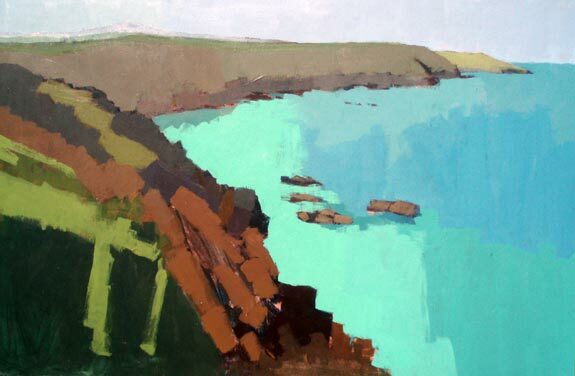 This was painted on a scorching hot day, standing on the cliffs to the west of St Ives. 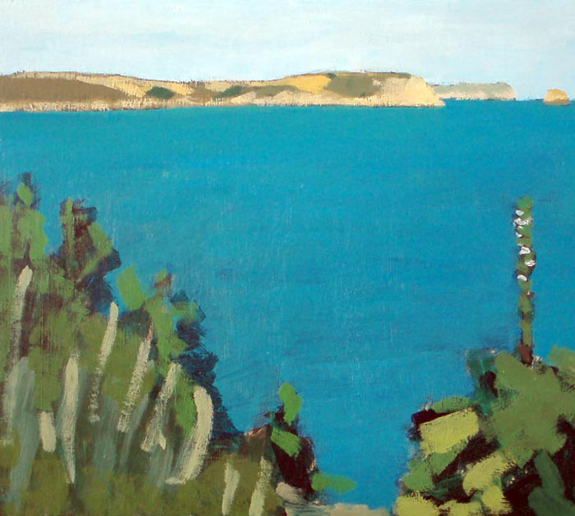 St Anthony Head and lighthouse from Pendennis, Falmouth. 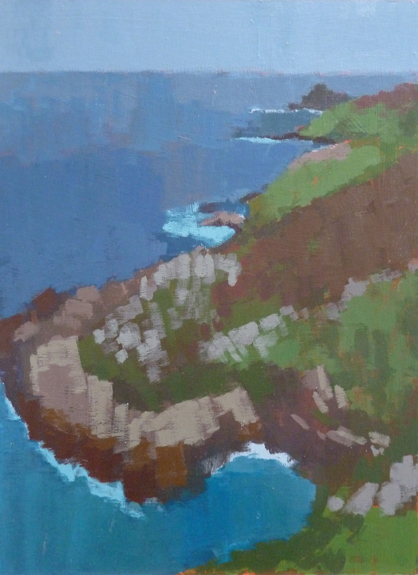 Painted at Gurnard's Head in Penwith. 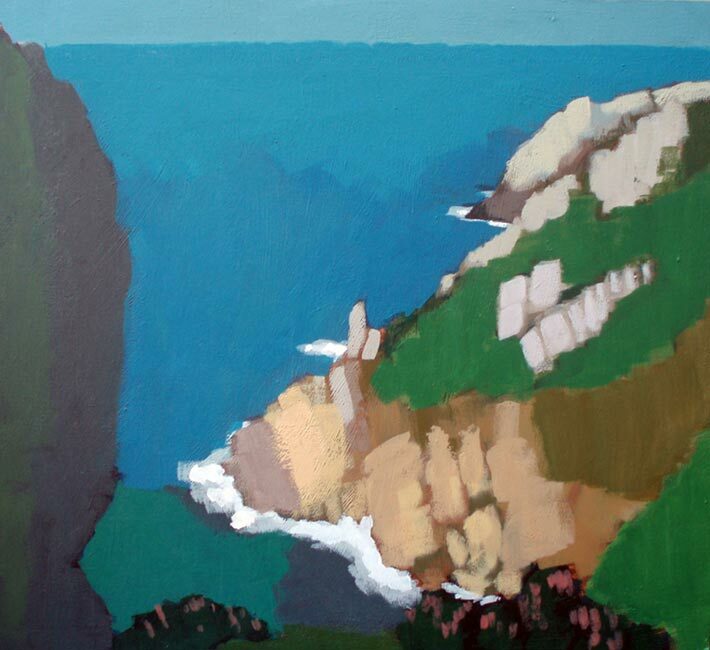 The cliffs and sea, west of St Ives. 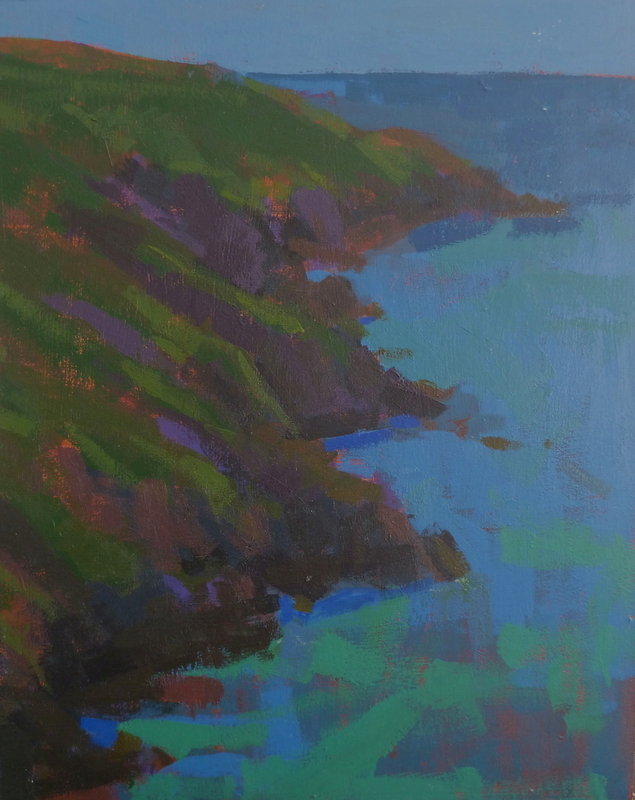 Painted over three days at Perranarworthal between Falmouth and Truro. 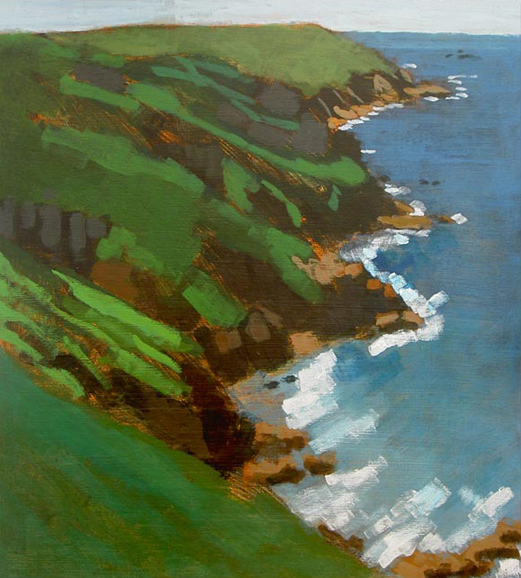 A painting of Nare Head from Portscatho. 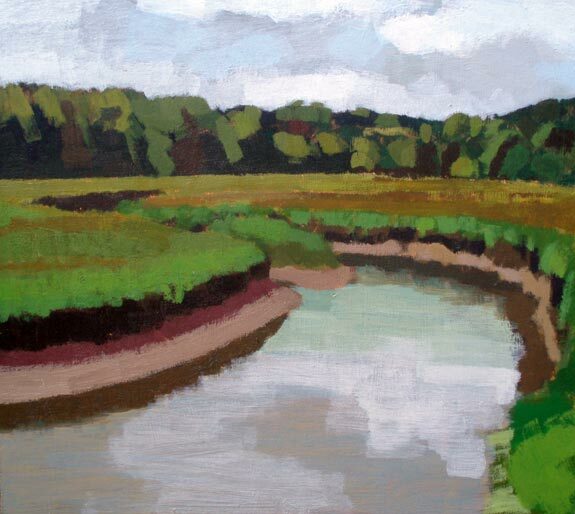 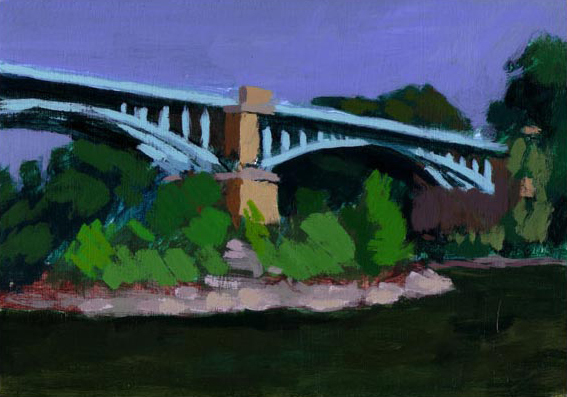 This was painted from the same spot as the above painting but looking west. 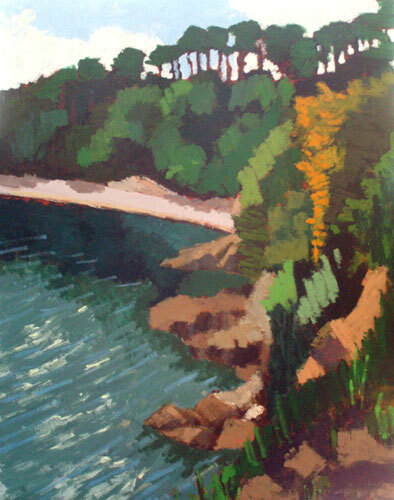 Durgan beach on the Helford river. 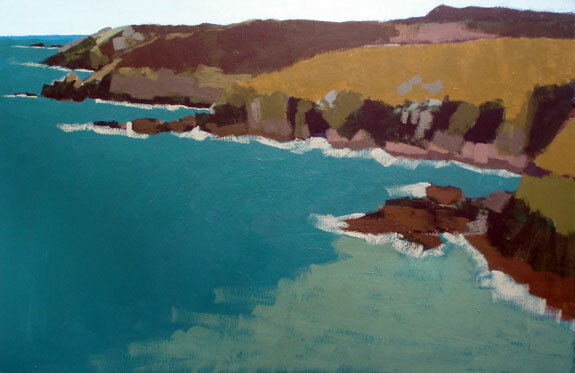 Painting of the view towards Gurnard's Head.